Hurricane Irma, the most powerful storm to ever come out of the Atlantic, spent the past 24 hours hammering the Caribbean with rain and sustained winds of over 185 mph. Ten people have reportedly died as a result of the storm, which the National Weather Service called “potentially catastrophic.” Nearly every building on the island of Barbuda was leveled. St Barts and St Martin were also hit particularly hard. Now, the Dominican Republic, Haiti, and Cuba face strong winds, while Turks and Caicos and the southern Bahamas lie right in the hurricane’s projected path. Irma slammed into Puerto Rico Thursday morning, and local officials say certain areas could be left without power for as long as six months. It could hit Florida as early as Saturday — although where along the coast remains unclear. Gov. Rick Scott has already ordered mandatory evacuations in the Keys. Take a look at what Irma did to the Caribbean. 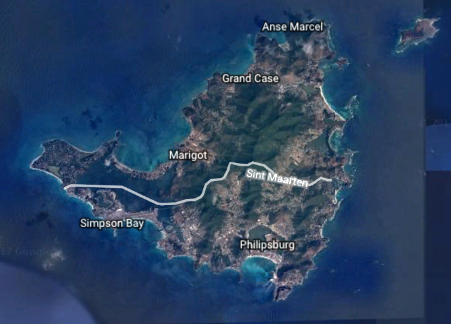 St. Martin, a popular tourist destination shared by the Netherlands (on the Sint Maarten side) and France (on the Saint Martin side), was “95 percent destroyed,” according to one local official. St. Barts, another popular tourist spot under French control, didn’t fare much better. Macron also sent a team and supplies to the island, where Irma ripped the main weather station and police headquarters to pieces and the put its firehouse under several feet of water. According to the prime minister’s estimates, 90 percent of the Barbuda, in Anitgua, was destroyed. While Hurricane Irma has cut off most communication with Barbuda, local news station, ABS Television, captured some of the devastation.